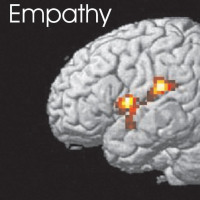 Scientists have recently revealed that empathy is not just a result of upbringing and life experience - rather it is partly down to genetics. A study carried out on 46,000 people showed for the first time that genes have a part to play in how empathetic we are. The study also found that, in general, women are more empathetic than men. Empathy helps us recognise others' emotions and helps us respond accordingly, such as knowing when someone needs comforting. Until recently it has been largely believed to be something we learn during childhood and due to life experiences, but this new study, published in the journal Translational Psychiatry, showed it can actually be traced back to our genes. Participants had their "empathy quotient" (EQ) measured by filling out a questionnaire and gave saliva samples for DNA testing. Scientists deducted from the results that around 10% of the differences in how empathetic the participants were was down to genetics. Varun Warrier from the University of Cambridge, who led the study, said: "This is an important step towards understanding the role that genetics play in empathy. "But since only a tenth of the variation in the degree of empathy between individuals is down to genetics, it is equally important to understand the non-genetic factors." On a maximum of 80 from the EQ questionnaire, women scored 50 on average, while men scored 41. The researchers said they could not find any genetic reasons behind this. Researchers also made a connection between lower empathy and a higher risk of autism. There are limitations to the study which must be considered. Firstly, it was a self-reported survey, which can skew results. Secondly, although genetic differences were found between people who were more and less empathetic, no specific "empathy genes" were found to be responsible. Dr Edward Barker, a reader at the department of psychology at King's College London, said the paper had some "very interesting" findings and was a "first step" in exploring the link between our genes and empathy. "But as the authors say, it's the first analysis of its kind and could benefit from a larger study," he added. World First offers a wide range of travel insurance packages, so you're sure to find the right one to suit you. Take a look before jetting off.